planet manners: Los Angeles bans the bullhook! Los Angeles bans the bullhook! Subject: PAWS Alert: Los Angeles bans the bullhook! This is a banner week for elephants! As if the arrival to PAWS of African elephants Toka, Iringa and Thika from Canada weren't enough, on Wednesday, October 23, 2013, the Los Angeles City Council unanimously voted to ban the use of bullhooks and other devices designed to inflict pain on elephants in traveling shows and circuses. The ordinance will take effect in three years. This landmark vote makes Los Angeles the largest U.S. city to prohibit this barbaric treatment of elephants. The bullhook is a menacing weapon commonly used in circuses, and still used in some backward zoos. Resembling a fireplace poker, the bullhook is used to inflict pain and instill fear in elephants. Circuses claim they cannot bring elephants without the bullhook. It was a team effort to accomplish this long-awaited goal. PAWS joined forces with leading animal advocate Cheri Shankar, and provided key support, alongside the Humane Society of the U.S. and other animal protection groups, including PETA. Local organizations and concerned citizens helped make a difference with their support. And a special thank you to PAWS' friend Lily Tomlin for attending the meeting and endorsing the ban. The vote in Los Angeles is certain to reverberate across the country, leading to more restrictions on the use of animals in circuses and greater protections for elephants and other wild animals. "The Los Angeles vote to ban bullhooks and other instruments of torture was a great win for the elephants," said PAWS' president and co-founder Ed Stewart. "This is the beginning of the end for the use of elephants in circuses and traveling shows." 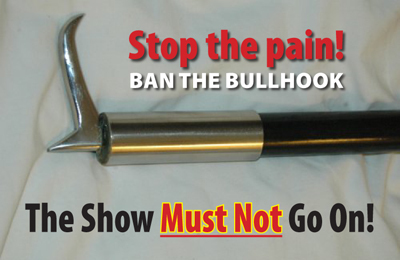 PAWS has long campaigned to "Ban the Bullhook!" 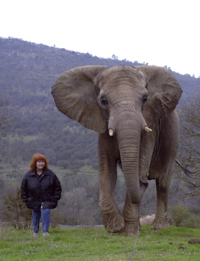 This was a passion of PAWS' co-founder, the late Pat Derby, who wrote: "The claim that this weapon can be used positively is pure nonsense, the very nature of the bullhook is to dominate through fear and violence." We dedicate this win for the elephants to Pat. She would have been thrilled to see this happen. 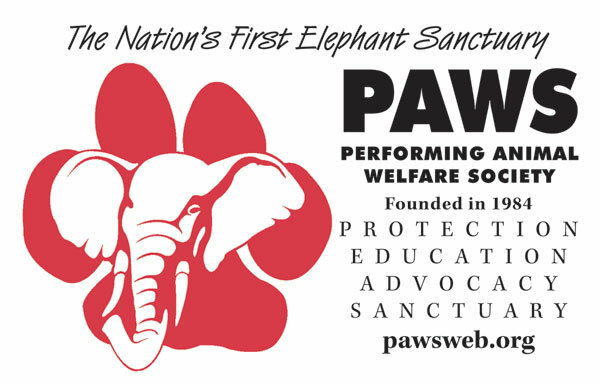 Please help PAWS continue its important work to "Ban the Bullhook!" and to end the suffering of elephants and other animals in circuses. PAWS is often called on to provide critical support and expert testimony for key legislation affecting captive wildlife. We are the "go to" organization because of our world-recognized expertise and decades of hands-on elephant care. Because the majority of our funding goes directly to caring for the many animals at PAWS, our budget for this vital advocacy work is very small and quickly depleted. Please make a special contribution today so we can continue essential advocacy efforts that make a real difference for the animals, and bring more successes like the one in Los Angeles. Read more about this historic win, here. Watch the LA City Council Vote, here. Scroll down to ITEM NO. (26) - 12-0186 PERSONNEL AND ANIMAL WELFARE COMMITTEE REPORT relative to the use of exotic and wild animals, and/or elephants, in performances by traveling shows within the City of Los Angeles.